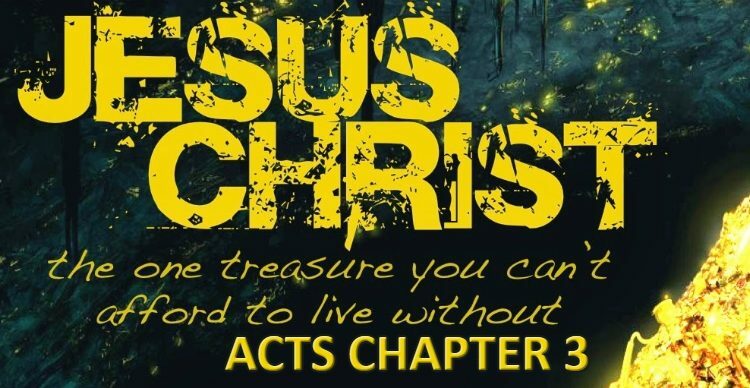 When I came to the Lord and realized how amazing the Word of God is, I was shocked to discover the different doctrines dividing the body of Christ. Of course, this should not be the case, as the body of Christ is to be joined together not only in Spirit but also in faith. Each member of the body should be connected to the head who is Jesus Christ. 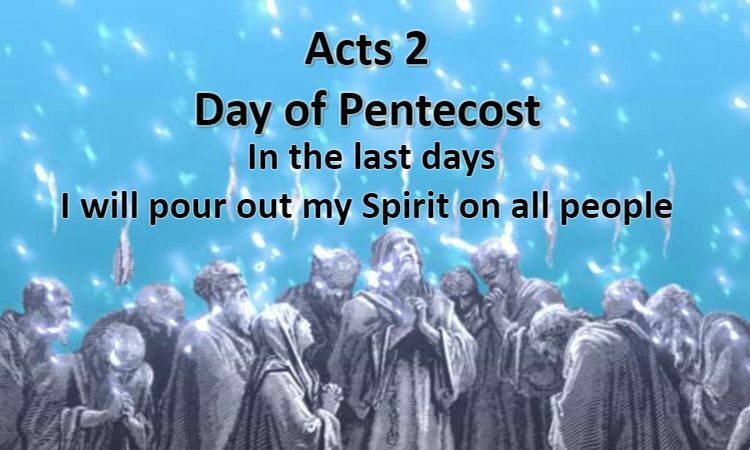 The Holy Spirit can then bring us closer and closer to attaining the unity of the faith. It’s after many discussions with other believers that I learned how to properly study scripture in order to find out the truth about a certain doctrine. 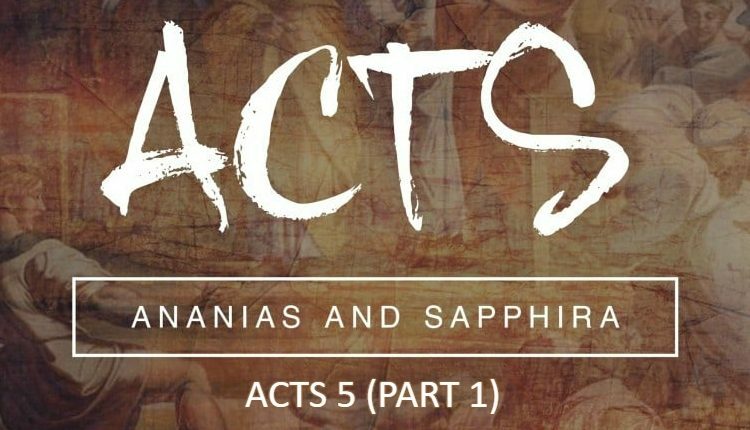 In this article, my objective is to share with you, dear seeker of the truth, the mindset and methodology when approaching the scriptures for proving/disproving a doctrine. May God help me write this with clarity. 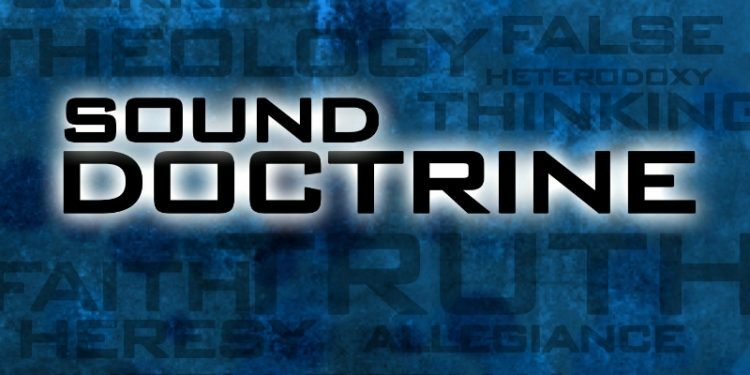 A doctrine is a set of beliefs held and taught by a group of people. Erroneous interpretation of certain parts of scripture gives birth to false doctrine. Unfortunately, there are many false doctrines in the church today. If we accept that the written Word of God is true and consistent, we have to come to the conclusion that there is only one truth. Even tough the Bible consists of many books written by different authors, the inspiration comes from God Himself, and God cannot contradict Himself. When a doctrine is first established, the people defining the set of beliefs claim proper interpretation of the scriptures. The birth of the doctrine comes often with the creation of a label identifying their set of beliefs (example: “Once Saved Always Saved”, “Intercession of the Saints”, etc.) and it can become a double edged sword. On one hand, the label can be good because it simplifies the passing down of information. In other words, if I hold a certain number of beliefs associated with doctrine “A”, I can say I believe in doctrine “A” and the other party will understand which beliefs I hold on to. This is convenient since we don’t have to spend a lot of time explaining our beliefs and establishing our position when discussing with other believers. On the other hand, forming a doctrine and labeling it can do more harm than good since it will divide scripture by putting more emphasis on the verses supporting it, as well as ignoring the ones that are against it. The creation of a doctrine makes it automatically a focal point of teaching for teachers and preachers. 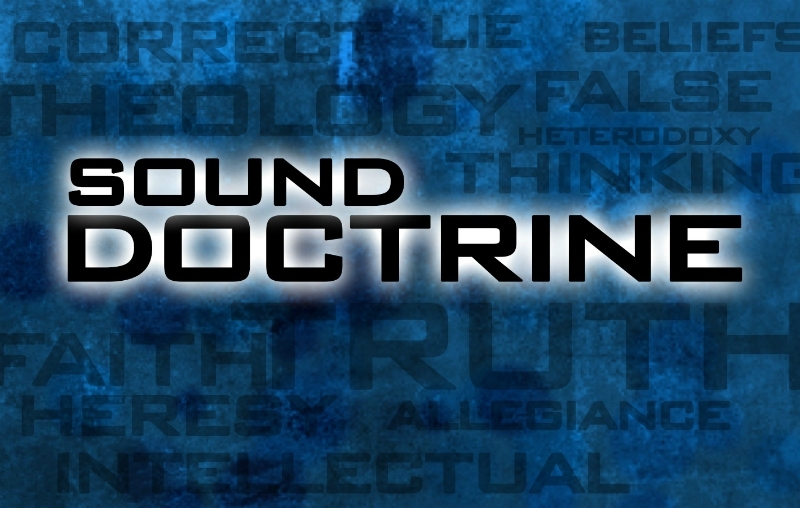 Therefore, when the doctrine is taught, the listener will only be exposed to the ideology of the doctrine and the verses seeming to support it. Often, verses are taken out of their proper context making the person listening to the teaching biased in regards of scripture. This is very frequent since most believers don’t have a good knowledge of the scriptures. And, even if they start reading them, the bias will become a hindrance in finding the truth. They will look at the scriptures from a window of preconceived ideas. Therefore, if they get to a passage that is against their doctrine, their first reflex is either to ignore it (often without knowing) or find a way to twist it to make it fit with their fixed doctrinal ideology. Instead of reading OUT of scriptures, they will start pushing ideas INTO scriptures to make them fit with their preconceived doctrine. If we are not careful and don’t take the time to read the scriptures for ourselves, we can easily get deceived. If the doctrine is a damnable heresy, it can cost us our salvation. That’s a very big price to pay! The Spirit Himself can warn us if something is not of God, that is if our hearts are serious with God and if we are truly desire getting closer to Him. Our God is a God of the impossible! Now that I said how forming doctrine can be dangerous, we still have to deal with them since they are all over the place in today’s world. But before I go into how I personally deal with doctrine, I want to first reiterate the importance of reading the Bible. How do we know if what we are listening to is true or not? 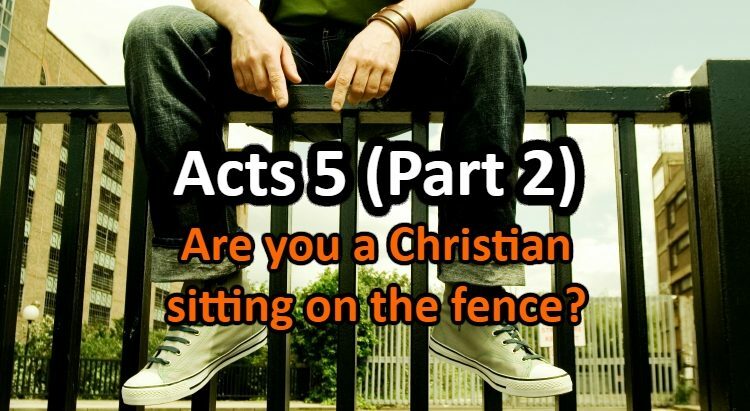 How do we know if the interpretation of the verses used by the preacher/teacher is right? The answer is simple: we have to be prepared to read the Bible and seek the truth for ourselves. In order to properly study anything in the Bible, we have to understand that the scriptures are True. They are the Word of God written for us. The Bible does not contradict itself, all verses should fit together without contradictions. Not one letter has been put there without God’s will, therefore, no scripture can be ignored. Each verse, if understood in its proper context will fit together in the grand puzzle of God’s truth. So if a certain subject, idea or doctrine is to be studied, we have to gather all passages in the Bible that touch that subject whether indirectly or directly. All the passages pulled from different places will fit together and give us the truth about that which we wish to study. Many Christians think that error comes only from a misinterpretation of verses in the Bible. That in itself is true but error can also come from selecting only some verses that touch a certain subject and not ALL the scriptures have to offer pertaining to that subject. It is not enough to pull all verses that pertain to a certain subject from the Bible. Verses have to be understood in their proper context before they are gathered together to get the bigger picture. That way we have the true meaning of the verse and we are not in danger of taking it out of its context. The worst thing we can do is to throw verses left and right from different places and books in support of a doctrine without looking at context. In order to get the proper context for a verse, it is important to understand each book by itself. Why? Because the context of a verse can extend all through the book. So we see how this can take time but it is worth it because the Truth is priceless and it is about the salvation of souls. I can not emphasize enough the importance of this point. My understanding of the Word of God exploded when I understood that the Bible is a library (this is the true meaning by the way). It is a collection of books. It should not be used as a dictionary where we jump from one verse in one book to another passage in another book. Each book was written for a purpose in a historical context. When we understand the historical context in which the book or letter was written, why it was written, where and to who, then we will understand how each verse fits into that context and why it is there. When this is done, we will not be in danger of being deceived by false interpretations and by verses taken out of context. Take the time to read each book dear friend. If there is anything you can remember from this article, it is this. 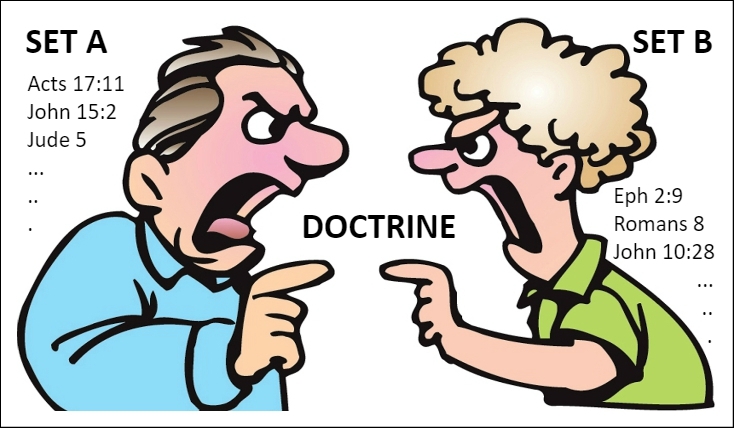 When it comes to a certain doctrine, there are always two positions (one for the doctrine and one against it). Let’s say I am against this doctrine and Mr. X for it. I will use a set A of verses against the doctrine. Mr. X will use set B of verses in support of the doctrine. Now there is something I realized that many people do when arguing about doctrine: if I mention a verse from set A against the doctrine, Mr. X can always tell me that I have to take the WHOLE counsel of scriptures and starts mentioning verses from his set of verses B. Vice Versa is true, if Mr. X mentions a verse from set B, I can always tell him that he is not taking the WHOLE counsel of scriptures and start mentioning verses from my set of verses A. This always causes discussions to diverge and causes all kinds of misunderstandings and confusion (that is to say the least, we know how these things can escalate to heated debates and personal attacks on character). So in order to approach a doctrine and seek truth, the best way is therefore to gather ALL passages FOR and AGAINST the doctrine . Then each passage has to be taken on its own and properly understood in its proper context without jumping to other books as we said in the previous section. The context of a passage or a verse is contained within the book or the letter itself, so it is good to go back and forth in the same book or letter to understand the whole context. Remember, there were no chapters and verse numbers before. It was after the 10th century that chapter and verse numbers were added. Imagine someone sending you a letter today and you just jump to the middle of the letter, pick out a passage and think that this is what the sender meant just by looking at that passage. We have to learn to follow the train of thought of the author from beginning to the end and understand his message as he himself intended it. This is the proper way to read the scriptures, from spirit to spirit, AS INTENDED. After analyzing each passage (for and against) in its proper context, then the passages that are harder to understand should be understood in light of the other CLEARER passages. This is extremely important. I hope this helps you dear reader! May God through His Spirit help us hear what He is saying in the Bible without the biases of preconceived doctrine!